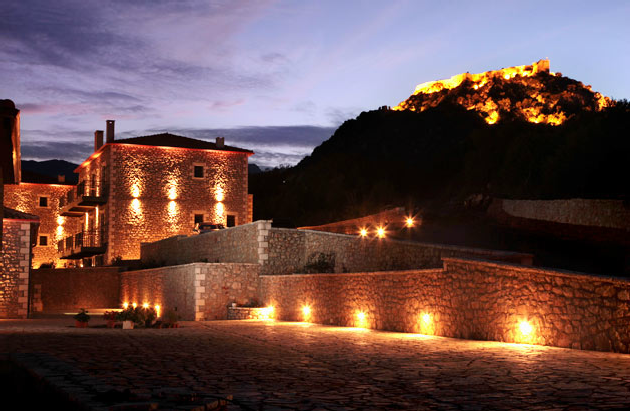 Welcome to the historic and beautiful Karytaina just before entering the village you will find the hotel Pelasgos. This is a beautiful stone building hotel which has all the modern amenities that will make your stay enjoyable. The rooms are spacious and tastefully decorated. In the same area there are a restaurant with traditional Greek cuisine and a coffee shop which are open to hotel guests and general the visitors to the area. Every Saturday evening there is live Greek music. Karytaina located where it can be the base for exploring the natural beauty of Arcadia, which is surrounded by firs and pines. Nearby are Andritsaina, Stemnitsa and Dimitsana and other beautiful villages.